HAHA, gotcha! We definitely wish we were that important but we really do spend more time with you than even your groom on the day of so it’s most important to pick a wedding photographer that you vibe well with and that you feel has your goals and best interest at heart. With wedding season coming up, we are super excited to start another new blog series called………… drum roll, please. WEDDING WEDNESDAYS! We will use wedding Wednesdays to blog our most recent weddings and during off-season, share some tips and tricks, favorite decor… and all things weddings! 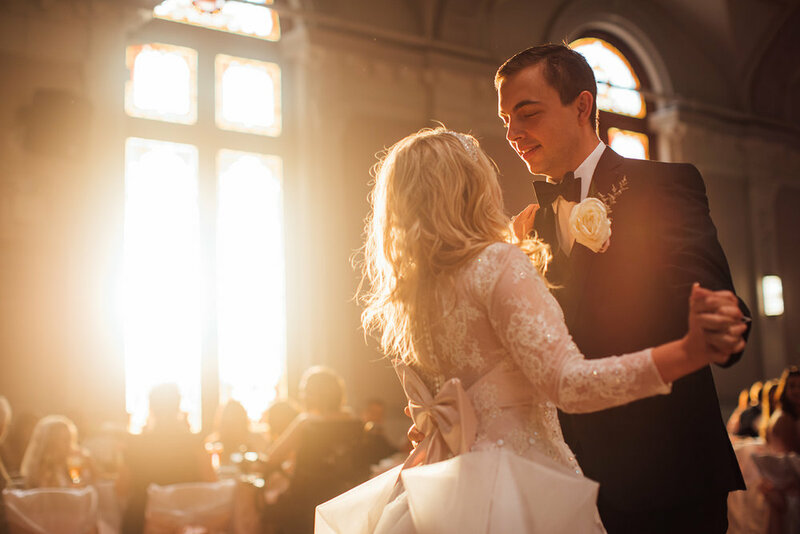 We are merely 3 weeks away from our first wedding of this BUSY spring season and we can’t think of a better way to pump ourselves up than reminisce on our favorite parts of the day! A very common question we get asked is why do we love being wedding photographers? So we decided it was time to share why we love what we do. You may think oh they go to weddings and snap photos of the day and it’s a done deal but it’s so much more than that. From the very first inquiry we receive we begin connecting with our couples. We make it a goal to really dig deep during your engagement session or initial consult, to figure out things that make you who you are together. We take those things, and create a wedding photography experience based off of YOU. We know you spend so so so many hours of preparation and planning for your wedding day, and we want you to know that we do the same. We want to photograph every little thing that you’ve spent countless hours putting detail into, especially the life you’ve created with your partner. So today, we are going to list 5 of our MOST favorite parts of your wedding day! The moment you first kiss as husband and wife. I feel like we are obligated to say it but also it generally is our absolute favorite part of the day because that’s why all of your friends and family have gathered together on that day. To celebrate this moment of the two of you saying, “I do.” Your new lives start at that very moment and we can always feel the excitement and emotions that are floating around. Not to mention, we are usually crying like babies because HOW FREAKING SWEET. I feel like we say that after every ceremony but they are all so unique and special in their own ways. One of our brides, Maureen, (wish I had more time to tell you about this girl because she’s incredible) did this cute little dance right before they were allowed to kiss. I will never forget that moment. Those are the moments that we LIVE for. Those are the moments we should ALL be living for and we feel so fortunate that this is our job, and we are surrounded by those little moments every single day. 2. First Look. This isn’t for everyone and that is totally ok. We want you to do what feels right FOR YOU. The first look part of the day takes place before your ceremony. People generally opt for a first look for a few reasons; first, they want to see each other for the first time in a more private, intimate setting. It’s hard to walk down the aisle in front of a gazillion people if you aren’t comfortable in that setting… a first look helps ease those nerves because you’ve already got the nervous part of seeing your partner for the first time over. 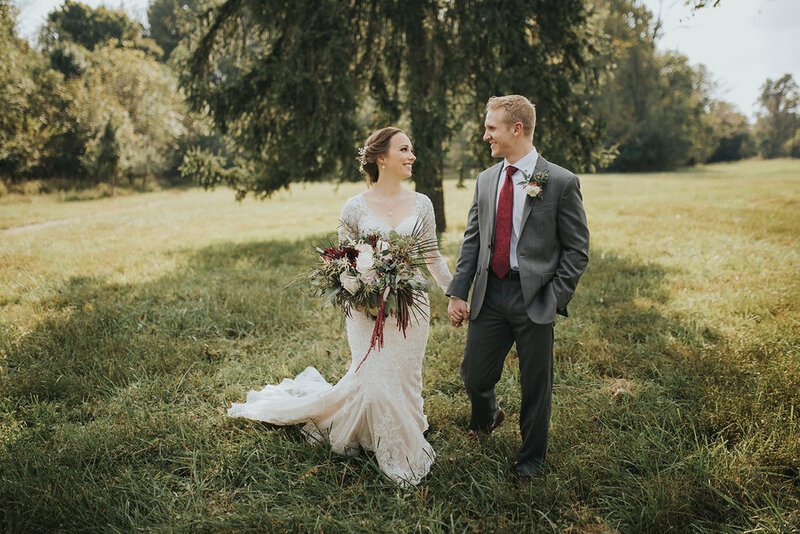 Another reason is to save time with photos after the ceremony so you can go straight to mingling with your friends and family (after family portraits, of course!) We love first looks for two reasons. 1. We definitely save on time and we actually can plan more than enough time than we need for portraits. This allows us more time for creative portraits and those storybook images you strongly desire. 2. We also love that we usually can control where the first look takes place. That way your intimate moments are beautifully photographed with gorgeous lighting and composition. We don’t have that freedom most of the day, as when you’re getting ready, ceremony and reception are pretty stationary and already set up. 3. Getting Ready. We LOVE the time of getting ready and preparation for the wedding day. Not only is it normally relaxed, there are so many feelings and emotions in the room and no matter what, there is always something special to photograph. Sami will be in ducked down in front of a window capturing details and I’ll be dancing around the room to whatever music is playing, snapping shots and laughing about Sami making fun of my dance moves. This is also the time where we really get familiar with the relationships between you and those you love. We learn things that bring you guys together. We love the anticipation in the room… your bridesmaids talking about how much fun the reception is going to be and the fact that they cannot WAIT to see you in your wedding dress. 4. First Dances. Again, we are all about the emotions of the day. During the special first dances, there is hardly ever dry eyes and those are moments that you literally wait your entire life for. I realize some families do dance together, but it probably isn’t very often and for some, it never happens unless a special occasion such as your wedding day. We love that during todays weddings, there are so many surprises that hide in the special dance periods. During our last wedding of the season last year, our sweet sweet bride Amber, learned to play piano just so she could surprise play and sing to her groom on their wedding day. IT WAS SO BEAUTIFUL. There are no words. Another good example is when everyone is crying from the sweet first dance, and it’s time for the father-daughter dance… but instead, the bride and her father break out in some sort of “wobble” remix and everyone is screaming with laughter. That stuff NEVER gets old. 5. CAKE and Coca Cola. It wouldn’t be real life if we didn't admit that the wedding cake is always going to be a positive of shooting on a wedding day. When we’re photographing details, you best believe we are sneaking around the cake table to figure out what kind of cake you’re having. I think my favorite cake so far was at a wedding we did this past September with our lovely bride Abby, who had cookies and cream CUPCAKES. TO DIE FOR! I would probably pay big money to have another one of those right now. You’re probably wondering what Coca Cola has to do with this, but little do you know, Sami Jo IS A Coca Cola addict! She knows that as soon as the reception begins, she is going to hunt down some Coca Cola. If the venue doesn’t have any, our mini fridge in the car does. One of our favorite pastimes is to laugh about the ridiculous things we have done to find coke on wedding days. I love working with Sami Jo and I love her love for Coca Cola. There are so so many parts of the day that you probably don’t even think of when you think of a wedding day. An average wedding day for us about 15 hours (including driving time to wherever we may be and the culling of cards when we get home.) Over the past 5 years, we have learned so so much and we would love to help the planning process become easy as pie for you so if you are one of our brides or grooms or thinking about becoming one and you are struggling, PLEASE CALL US. We are here to help and we are SO STINKING EXCITED FOR YOUR DREAM DAY!!! !